The Schwinn 270 Recumbent Bike delivers a challenging workout in a relaxed position with increased lower back support. Its large vented seat back and padded seat bottom adjust in the fore/aft positions with aluminum sliding seat rail to accommodate a variety of positions for multiple users. This relaxed body positioning and lower-back support let you ride in maximum comfort with minimum strain. 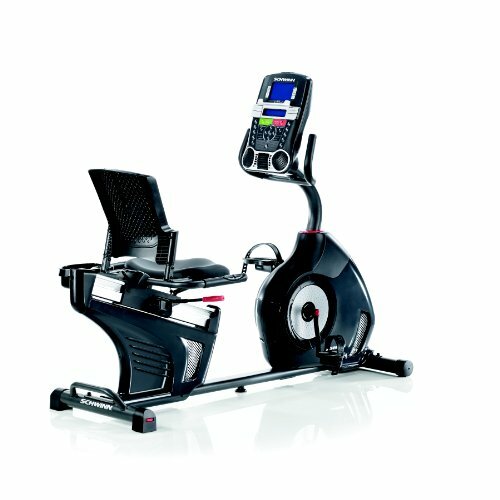 The Schwinn 270 also features a new oversized console that makes tracking your progress easier than ever, 29 workout programs, 12 course profiles, 25 resistance levels, a high speed high inertia perimeter weighted flywheel, in-console speakers, a USB charging port, media rack, and contact heart rate monitoring built into the handlebars.